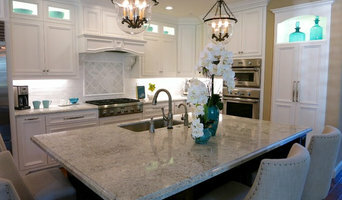 Offering a full array of interior design services and specializing in kitchen and bath design and remodeling. Enotive Design Group is a full-service design build agency based in the Tri-Valley. We specialize in creating beautiful environments that are both aesthetically pleasing and functional. Contact us for a FREE in-home consultation where our designers will meet with you to discuss your project in detail and provide you with a free estimate. 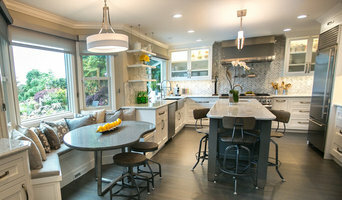 East Bay's Dedicated Remodeling Firm - 4x Best of Houzz! 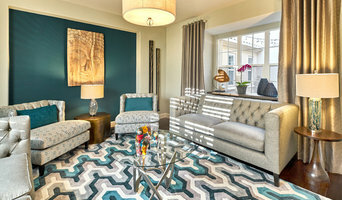 Bay Area's Full Scope Interior Design & Home Staging - Best of Houzz! Thoughtful interior design is so important to the quality of our lives! For me, design is a “calling”—my first career was as a textile and fashion designer on 7th Avenue—and I’ve been furnishing houses of every style in the SF Bay area for over 25 years. Combining my East Coast training and international travel experience with California’s fresh Pacific Rim aesthetic, I create homes that are dramatic, welcoming and FUN. Seven years ago I developed and added two niche specialties to my design business-- Universal Design and Downsizing for active Boomers (aka Zoomers!). I apply practical yet elegant architectural solutions to design and remodel homes which adapt to our changing life needs. Universal Design is the wave of the future—someday, all homes will be built to include people of every age, size and ability. Until then, Robineve Interiors can re-design your home for Life. 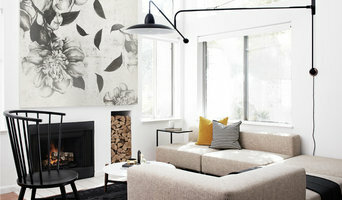 So, as a designer who loves beauty and freshness, I make homes that are warm and inviting, dramatic and fun. But in addition to the classic design projects that form the foundation of my firm, I introduce these sensible, practical UD principles for my clients to consider before we build or remodel. I suggest the design elements that make every home work for every member of the family, no matter their age, size, or abilities. I bring deep thought and caring to this work, because I know that the principles of Universal Design will be the wave of the future for all homes. Our mission is to create environments that delight and inspire. Raashi Design can transform any space - whether it is just one room or a whole house - into a beautiful, comfortable and personalized area that not only works well but also delights and inspires you to be your best, whatever your personal style may be. I am very passionate about design and decorating. I love working with clients to understand their needs and tastes, and translating that into a space that they will cherish for a long time. I work collaboratively with you and manage the project from beginning to end to save you time and effort. When it comes to your home or office, I believe it is good to know the rules but not necessarily follow them to make your space unique. As someone who has worked over 9 years in different parts of the world, my design style and perspective is truly global - I believe I have a different approach in the way I use colors, textures, space organization and lighting, along with outside the box thinking when it comes to solving design problems. 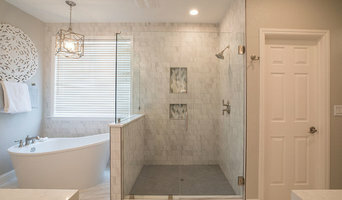 Showcase Your Place is an interior design company specializing in kitchen and bath remodeling, furniture and accessories selection, finish recommendations, window treatments and more. Whether your style is traditional, contemporary or somewhere in between, principal designer Julie Giampaoli will help create a warm and welcoming space that reflects your style and fits your budget.